Lung cancer is one of the most common tumors worldwide. Pulmonary lesions detected during screening for lung cancer need to be evaluated further and tissue should be obtained. Bronchoscopy is often the first step to secure a histological diagnosis. 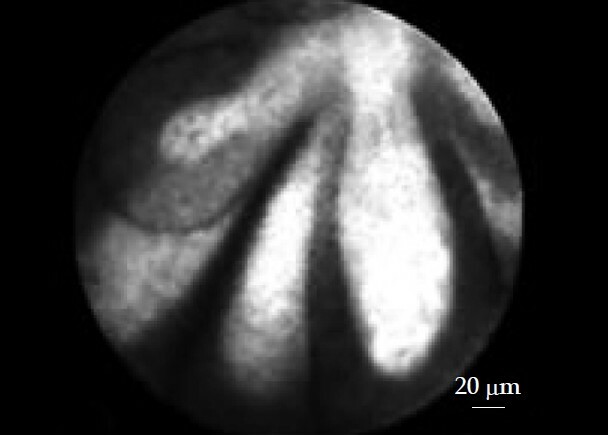 Differ­ent guidance techniques are available to increase the diagnostic yield. 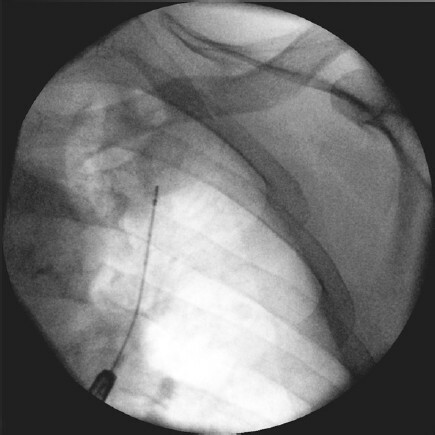 Over the last few years endobronchial ultrasound (EBUS) has been used increasingly to direct the sampling tools, often in combination with a guide sheath. This article offers a review of the literature of the use of EBUS in diagnosis of pulmonary peripheral lesions. Objective: The published data on the accuracy of the detection of pancreas divisum by endoscopic ultrasound (EUS) is limited. In this study, we evaluate the accuracy of detection of pancreas divisum by radial EUS in patients with chronic pancreatitis. 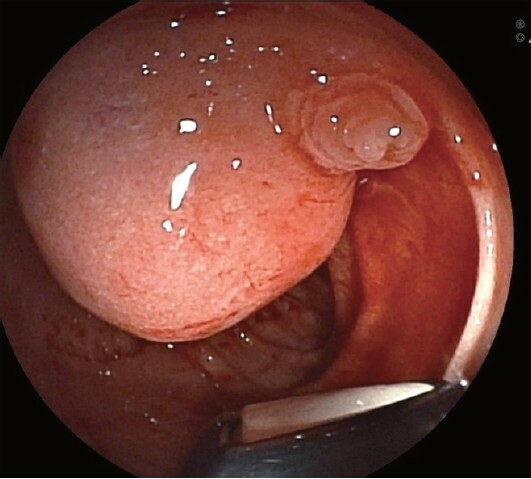 Methods: We retrospectively evaluated patients with chronic pancreatitis who underwent EUS followed by endoscopic retrograde cholangiopancreatography (ERCP) in the last four years to identify patients with complete pancreas divisum. 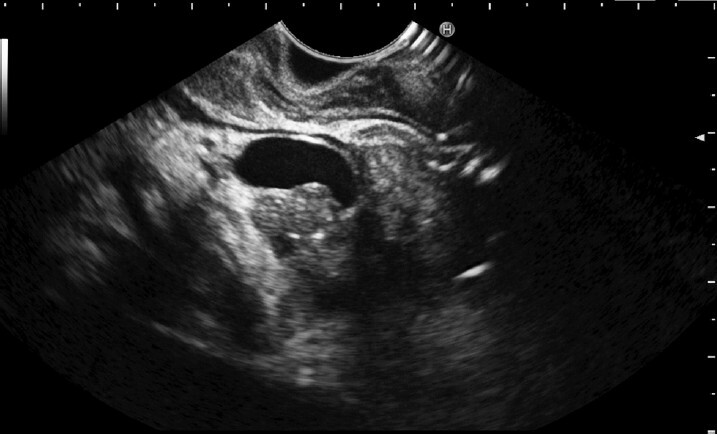 Results: One hundred and forty six patients with chronic pancreatitis underwent EUS examination and 20 patients (13.6%) had pancreas divisum. The overall sensitivity, specificity, positive predictive value, negative predictive value and accuracy of absence of stack sign on EUS for the diagnosis of pancreas divisum were 50%, 97%, 73%, 93% and 91%, respectively and for the inability to trace pancreatic duct from the head to the body were 100%, 96%, 80%, 100% and 96%, respectively. Conclusion: EUS can diagnose pancreas divisum in a majority of patients. 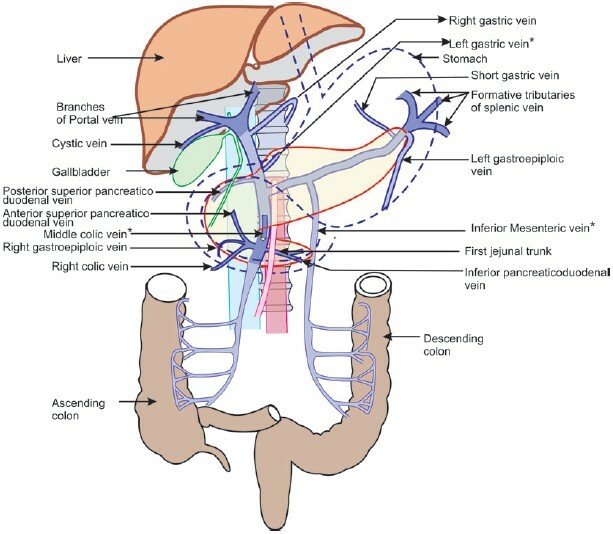 Pancreas divisum can be reliably excluded if pancreatic duct could be tracked backwards from the head to the body around the genu. bjective: Esophageal tumors arising in the muscularis propria are difficult to be resected endoscopically using standard electro­surgical techniques, even the endoscopic submucosal dissection (ESD) technique appeared recently. Our purpose is to investigate the efficacy of endoscopic ultrasound (EUS)-assisted tunnel-type ESD for resection of these tumors. Methods: A total of 17 patients were included in this study. A standard endoscope was used. The submucosal tunnel was created with the triangle knife according to the standard ESD technique, about 5 cm proximal to the lesion. EUS was performed within the tunnel to detect the tumor, and then the tumor was separated both from the submucosal and the muscle layers. After the tumor was removed, several clips were used to close the mucosal defect. 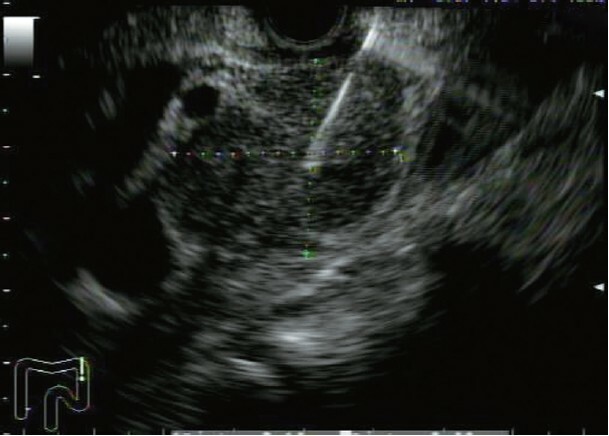 EUS was performed to evaluate the healing quality 1 week after the procedure. Result: In all the cases, the tumors were completely resected. Mean tumor size was 24.2 mm (12-50 mm) in diameter. The histo­logical diagnoses were leiomyoma (16/17) and gastrointestinal stromal tumor (GIST, 1/17). Subcutaneous emphysema was found in 2 patients after the procedure, but disappeared by the third day. No patients sustained perforation or developed significant hem­orrhage, and there were no other immediate severe complications after the procedure. The healing quality was satisfying in 16/17 patients evaluated by EUS 1 week after the procedure. No recurrence has been found during follow-up (mean 7 months, range 3-13 months). Conclusion: EUS-assisted tunnel-type ESD is effective and safe in treatment of esophageal tumors arising in the muscularis pro­pria. Metastatic breast cancer is an uncommon cause of esophageal stricture. We present an 80 year-old woman with past medical history of locally advanced breast cancer who admitted for evaluation of dysphagia. Barium swallow (i.g. esophageal fluoroscopy) demon­strated moderate irregular narrowing in the distal thoracic esophagus. Endoscopy revealed distal esophageal stricture with normal esophageal mucosa and computed tomography demonstrated thickened wall in the distal esophagus and the proximal stomach. Endoscopic biopsy of esophagus revealed no malignancy. Thus, we performed endoscopic ultrasound-guide fine needle aspiration (EUS-FNA) and cytological results were consistent with metastatic breast cancer. Diagnosis of malignant esophageal stricture due to metastasis from other primary is often challenging and requires a high index of suspicion. EUS-FNA is an alternative diagnostic technique in such cases when endoscopic biopsy fails to obtain adequate specimen. 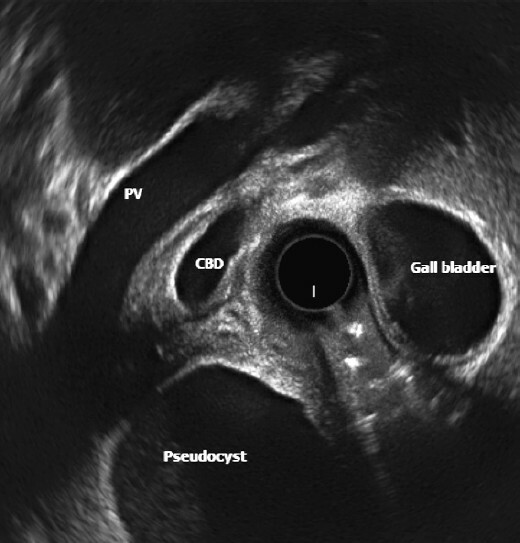 A female presented to the physician with a history of right upper quadrant pain. Abdominal computed tomography (CT) scan dem­onstrated a multi-loculated solid lesion in the head of the pancreas concerning for a primary malignancy. Endoscopic ultrasound-guided fine needle aspiration (EUS-FNA) of the lesion was performed and cytology revealed no evidence of malignancy. The acid-fast bacilli culture was found to be positive for Mycobacterium tuberculosis complex and pancreatic tuberculosis was diagnosed.